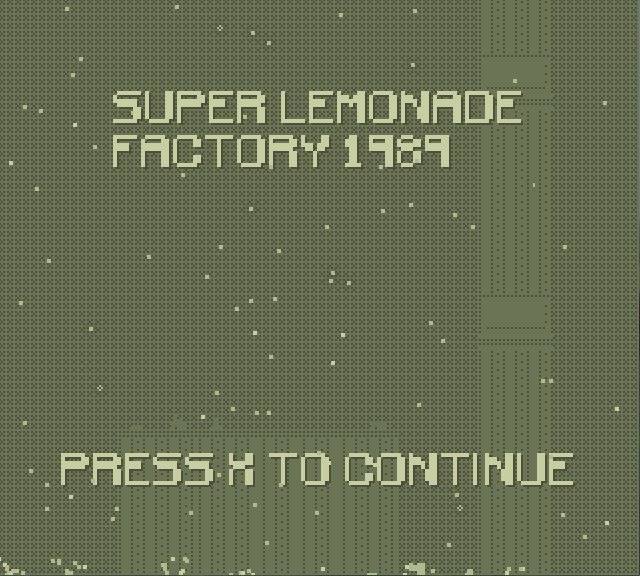 Super Lemonade Factory 1989 turns back the clock. Grab 4 AA batteries and fire up your favorite portable gaming device. 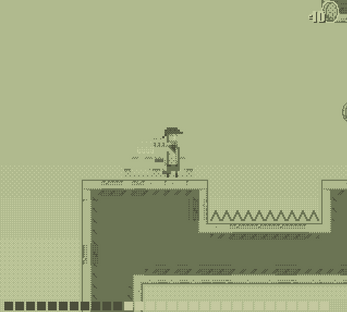 Inspired primarily by the Game Boy, but also taking inspiration from handhelds throughout the last thirty years. 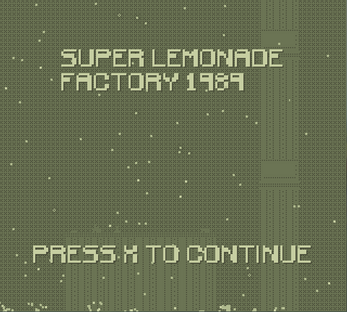 Finish the game and win a copy of Super Lemonade Factory Part Two. 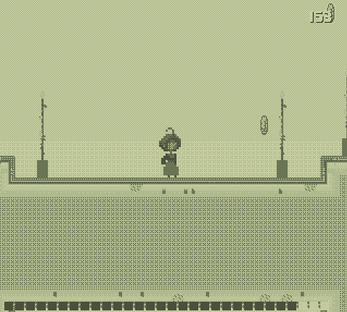 On completing, you'll get the chance to launch a browser that will take you to a download of Super Lemonade Factory Part Two at itch.io. Play six different locations and six characters some likeable, some detestable. 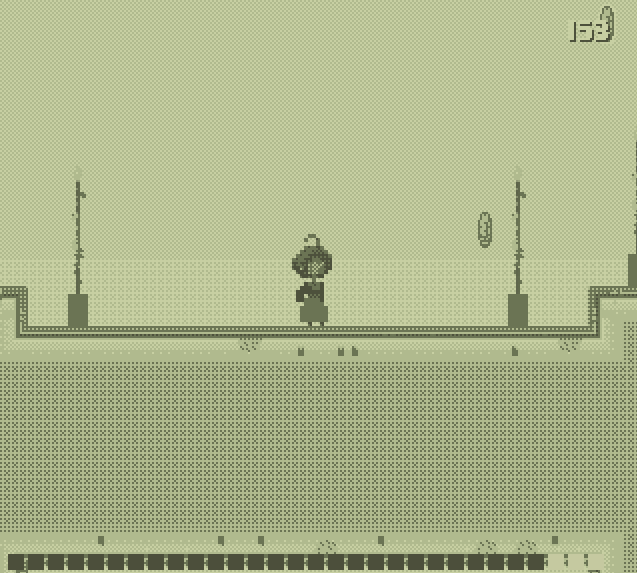 Wicked, juicy gameplay, you'll have nightmares about chasing those damn coins. Listen to the soundtrack on Bandcamp. I still need to get around to playing Super LF, but I do love me some Game Boy aesthetic.